Families with a child age 4 or 5 are invited to register to attend Every Child Ready to Read, An Early Literacy, Kindergarten Readiness Workshop at Moscow Public Library on Monday, April 8, 15, and 22 from 3:00 - 4:30 p.m.
Every Child Ready to Read Workshop is a series of three sessions over three weeks that involve young children and their caregivers in learning about early literacy practices that help prepare children to be successful in school. Early literacy practices are highlighted and parents have a chance to practice them with their child. Fun interactive activities, practical tips, and resources are shared during each session. Each family will receive free Early Literacy Take-Away Tools, and pizza will be served at the end of each interactive session. Families must register for the full three-week session. Priority will be given to families who can attend all sessions. This workshop can accommodate up to 20 families - one child and one caregiver per attending family. Siblings may stay in the Picture Book Room with a second caregiver during sessions. 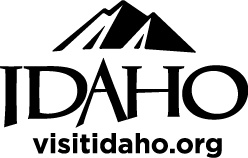 This program is free and funded by the Friends of the Moscow Library & the Idaho Commission for Libraries. Participants may register in the Every Child Ready to Read: Early Literacy Workshop for Families event page on the Latah County Library District’s Facebook page or in person at the Moscow Library circulation desk.